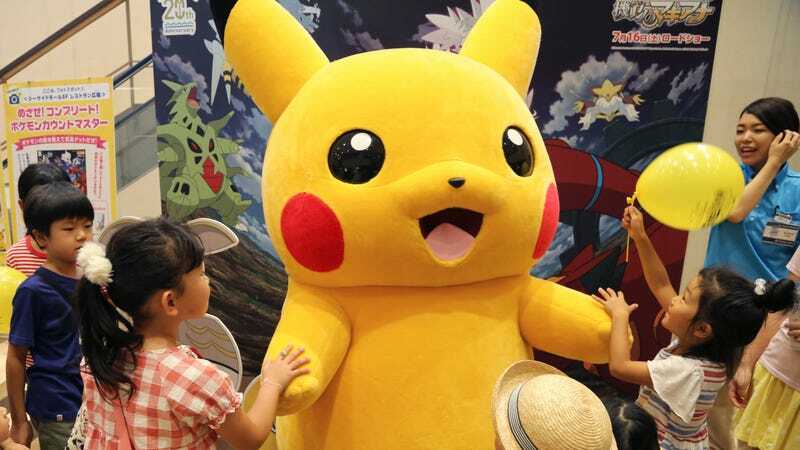 A Pokémon festival in Japan in 2016. App developer Niantic has settled a lawsuit over a botched Pokémon GO festival in Chicago’s Grant Park in July 2017 for nearly $1.6 million, TechCrunch reported on Saturday. Some among the estimated 20,000 festival-goers got very disappointed when the heavily promoted event was rife with internet connectivity problems and in-game crashes, with one who traveled all the way from California filing a class action lawsuit against Niantic over the $25 ticket fees and incidental expenses like mileage and hotels. (Some ticket scalpers reportedly charged up to $400 on eBay after legitimate slots reportedly sold out in minutes, according to the Chicago Tribune.) Now, TechCrunch reports, Niantic has agreed to pay out $1,575,000 to help cover incurred costs for attendees—that’s after previously offering refunds for all tickets, giving players $100 in in-game currency, and giving them all some legendary Pokémon. TechCrunch also reported that any remaining proceeds would be donated to the Illinois Bar Foundation and Chicago Run, a non-profit promoting youth running programs, and will not be pocketed by Niantic. It may sound like a huge chunk of change, but as USA Today reported at the time of the sold-out event, Apptopia estimated Pokémon GO had already generated a staggering $1.2 billion in revenue—a figure that had climbed to at least 1.8 billion by the end of 2017 and has in all certainty kept climbing since. How Hard Is It to Switch to Linux?